Perfect party food or a quick weeknight dinner! Warm the hot dogs in the slow cooker for easy prep! I hope everyone had a wonderful Christmas! We celebrated with my Dad and the family on Christmas Eve, and we'll be celebrating with my Mom on New Year's Day! I'm also looking forward to staying in downtown Minneapolis this weekend for a friend's birthday celebration! Tons of great food, drinks and dancing are on the agenda. Sounds like a blast to me! When it comes to entertaining guests, I want something fun, easy and delicious! 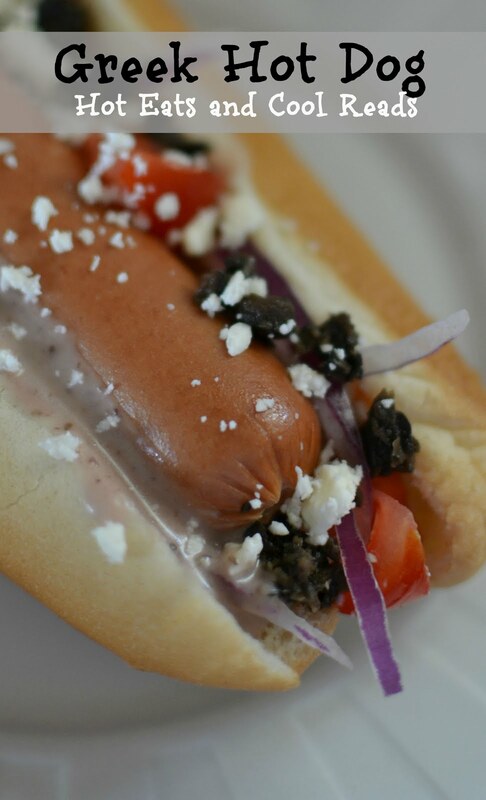 If you're hosting or attending a New Year's party this week, you'll want to bring these Greek Dogs for everyone to try! 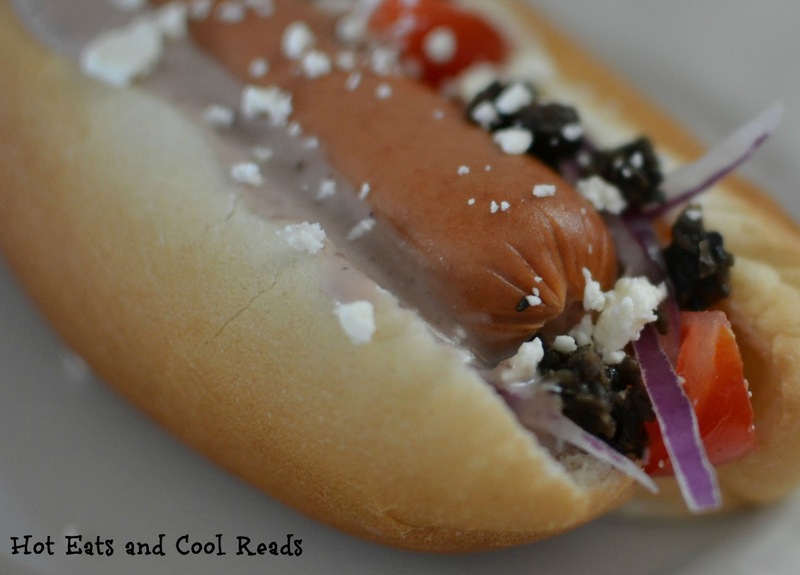 The feta, black olives and red onion add a much needed kick of flavor to the hot dog itself, and the dressing, either traditional tzatziki or Greek olive add the sauciness that ketchup usually provides. I found my Greek olive dressing in the seasonal aisle at Aldi, but you may be able to find something similar at another grocery store too. I love the easiness of chopping all the ingredients beforehand, storing them in small serving bowls, then setting everything out on a table with some sides for serving. Totally easy, affordable and tasty! You can also set out traditional hot dog condiments for those who don't want to go the Greek route! Warm hot dogs according to package directions. If making for a large group, the grill or slow cooker works great. Place hot dog on the bun and top with remaining ingredients! This looks really great...I can't wait to try it!